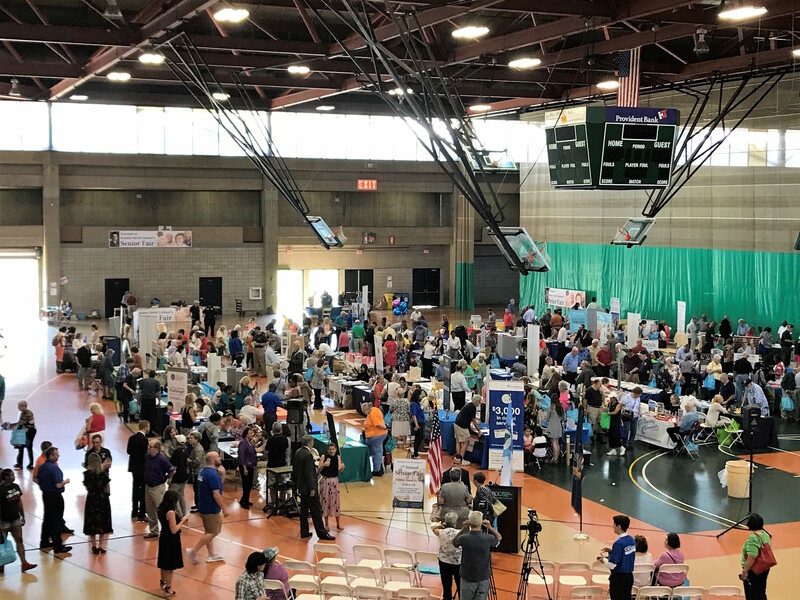 Hundreds of seniors packed Rockland Community College’s (RCC) Eugene Levy Fieldhouse in Suffern for Senator David Carlucci’s seventh annual Senior Fair on Thursday. The fair will also offered seniors a free speaker’s series to help them learn about health care, fitness, and financial matters. Seniors were then treated to a ballroom dance class taught by instructors from Fred Astaire Dance Studio in Bardonia. Rockland County Executive Ed Day was unable to attend the Senior Fair, but applauded the event. “Seniors are a rapidly growing population; I just turned 67 earlier this month so I understand what they are going through. Events like Senator Carlucci’s Senior Fair are important to help connect seniors to County services like the Department of Health and Office for the Aging as well as to other state and local resources that can help them age in place and stay active in our community,” Day said.